My first novel, Pure Bronx, is available in Paperback as well as Kindle and Nook from Amazon and Barnes & Noble. LEARN MORE HERE. 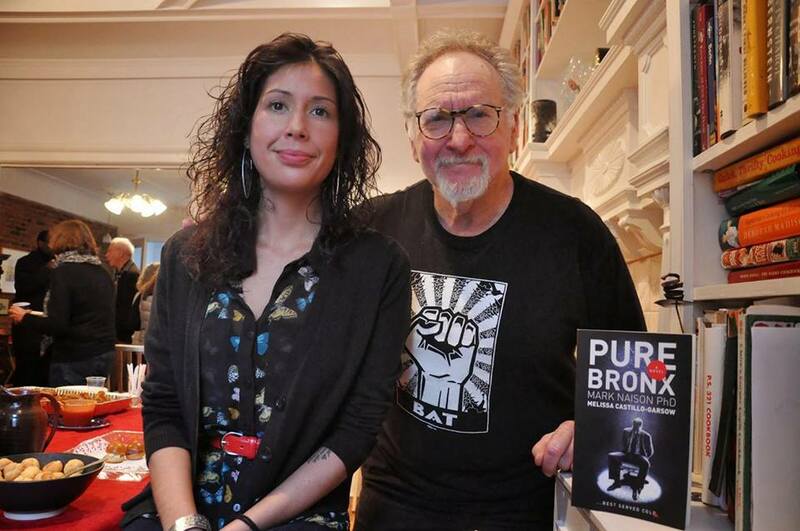 Pure Bronx, is a novel co-written with Dr. Mark Naison (right), Professor of History and African American Studies at Fordham University. Inspired by a class on Urban Fiction taught by Dr. Naison, this book attempts to intervene in the ever-expanding Street Literature genre (also referred to as Hip Hop Literature) by representing the vast ethnic and cultural diversity of the Bronx as well as inserting a message of social justice. Currently, I am working on my second novel, tentatively titled Boricua City. Written from the point of view of a young Grafittera from El Barrio, this completely bilingual work is set in both Arizona and East Harlem, New York City. This work aims to explore the vast diversity amongst US Latinos as well as the cultural tensions and opportunities for productive exchange. An excerpt of that work was recently published by Thrice Fiction. “Talisman,” “The Day Ernesto Sanchez walked in on Mario Sanchez in black leggings, a hot pink micro-mini, black tank top and leather bomber jacket,” “Unspeakable Silences”. Basta! 100 Latinas Write on Violence Against Women. University of Nevada Press, Spring 2016 (flash fiction). "Start Anywhere." winner of Sonoran Prize for Outstanding Creative Writing, ASU (2009) and Finalist in the 2009 Charles Johnson Student Fiction Award. Florida English. 2013. "Orchard Beach.” The Observer. April 20, 2011. “Habla Maricón.” Acentos Review. Feb. 15, 2011.